The Konica A0VU011 Imaging Drum Cartridge is for use with Konica Minolta magicolor 1600 Series Printers. 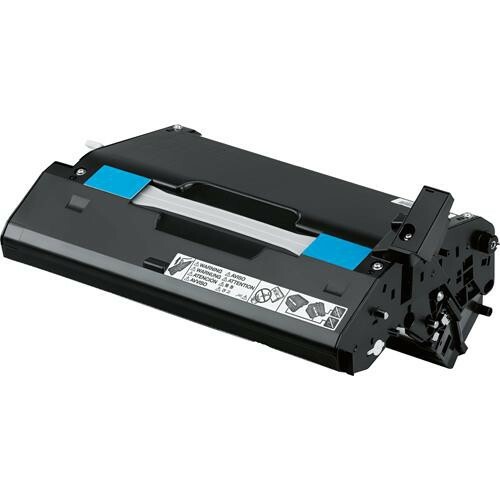 The drum cartridge is the revolving drum that transfers the toner to the paper. Box Dimensions (LxWxH) 16.7 x 13.1 x 10.0"
A0VU011 Imaging Drum Cartridge for magicolor 1600 Series Printers is rated 5.0 out of 5 by 7. Rated 5 out of 5 by Anonymous from Outstanding! B&H had the lowest price on the internet and included free shipment ! Delivery was fast. Item was exactly as described. It took 2 minutes to install the new cartridge and it worked perfectly. Also - I've been searching for a couple more WPA4220 WiFi range extenders to cover some dead zones in my home. Found them at B&H... and once again, lowest price with free shipping! I'll be using B&H as my first source (before Amazon) for future computer/printer/network purchases. Rated 5 out of 5 by Anonymous from Simply good The product came on time as usually. Right toner for the right printer. (Color print). Good quality. No complains. Rated 5 out of 5 by AppleMan13 from Perfect! Our order was promptly shipped in proper packaging. It arrived on time and works perfectly! Well done! Rated 5 out of 5 by Anonymous from replacment Fast shipment, and accurate working product. Rated 5 out of 5 by Big Bird from OEM Fast arrival and In Stock. Rated 5 out of 5 by David from Problem solved Works like a charm. Yes this is new in the OEM box. Is this cartridge compatible with the Konica Minolta Magicolor 1690 MF? Yes, this drum cartridge is compatible with the Konica Minolta Magicolor 1690MF printer.